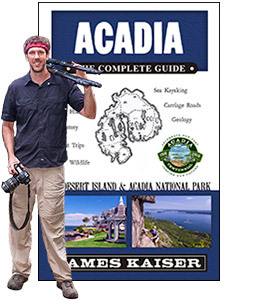 *Adapted from Acadia: The Complete Guide, the bestselling guidebook to Acadia National Park for over a decade. Mount Desert Island, home to much of Acadia National Park, is one of the most beautiful islands in America. You could easily spend a month there and not run out of things to do. But if you’re like most people, you’ve only got a few days. Make those few days count! Acadia: The Complete Guide puts the best of Acadia and Mount Desert Island at your fingertips, helping you plan the ultimate vacation! Knowing when to go will help you plan the perfect trip. Discover the best months to visit and how to avoid the crowds. Stunning photos from one of the most beautiful stretches of coastal Maine—from the islands to the highlands! From B&Bs to rustic cabins to luxury hotels, there are plenty of lodging options near the park. Learn where to find the best of the best. 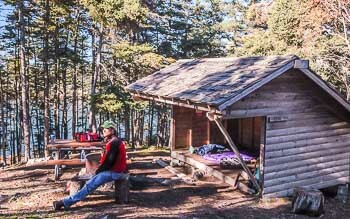 There are four campgrounds in Acadia National Park; some near popular towns, some on remote islands. 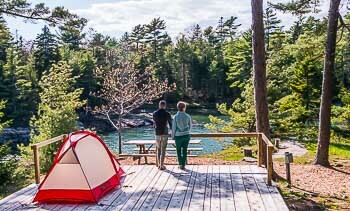 Some of the best campgrounds near Acadia are located outside the park, including several waterfront campgrounds. Learn about seasonal weather patterns and the best times to visit New England’s only national park. Acadia’s geology was shaped by colliding continents, erupting volcanoes, scouring glaciers and countless other splendid catastrophes. Two-thirds of the way up the craggy coast of Maine lies Mount Desert Island, home to granite mountains, picture-perfect harbors, and Acadia National Park. Mount Desert Island is the crown jewel of coastal New England—the only place on the East Coast where the mountains literally meet the sea. Those mountains, rounded and smoothed by Ice Age glaciers, form one of the most distinctive profiles in the world. From the sea they look like a string of giant ice cream scoops rising up out of the water. 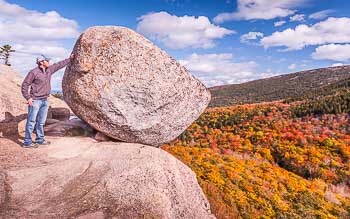 Cadillac Mountain, the island’s tallest peak, is 1,530 feet—the highest point on the eastern seaboard north of Rio de Janeiro. Nestled between the island’s 24 mountain peaks are forests, lakes, meadows, marshes and the only fjord on the East Coast: Somes Sound, which nearly cuts the island in two. Roughly half of Mount Desert Island has been set aside as Acadia National Park. At just 46,000 acres, Acadia is one of the smallest national parks in America. But it’s also one of the most popular, luring roughly 3 million visitors a year. Acadia’s most famous attraction is the Park Loop Road, which runs along the island’s rugged eastern shore before cutting through the forest, passing by two pristine lakes, then twisting and turning to the top of Cadillac Mountain. Acadia also boasts 125 miles of stunning hiking trails and 45 miles of carriage roads perfect for biking or horseback riding. In addition to land on Mount Desert Island, the park also includes Schoodic Peninsula on the mainland, and half of Isle au Haut, a remote, rugged island 14 miles southwest of Mount Desert Island. About half a dozen coastal villages dot the shores of Mount Desert Island—some, like Bar Harbor, built around tourism; others, like Bass Harbor, carrying on as quiet fishing hamlets, much as they always have. There are also wealthy summer towns like Seal Harbor and Northeast Harbor, and historic villages like Somesville, the island’s oldest town. Several offshore islands are also accessible by ferry, making them great for day tripping. In the days before Columbus, Mount Desert Island was the seasonal home of the Wabanaki Indians. Hardy coastal settlers arrived in the late 1700s, followed by artists and tourists several decades later. By the late 1800s, the island was one of the most exclusive summer resorts in America, but by the 1930s the glamour of the island had started to fade. In 1947 a massive fire burned down many of the island’s once-grand mansions. Following the fire, the island rebuilt and reestablished itself as a major tourist mecca. 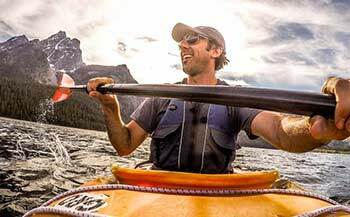 Today it attracts a diverse mix of summer visitors—outdoor junkies, fanny-packed retirees, college students, hippies and billionaires—proving there’s something for everyone here. Physically beautiful, ecologically diverse, and culturally unique, Mount Desert Island is one of the most fascinating islands in the world. 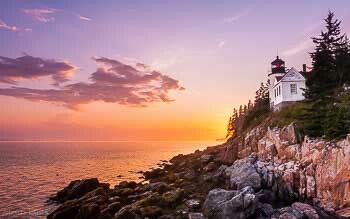 Plan the perfect Acadia National Park vacation for less than the cost of lunch!